Take At Least One (A Chance) * Inspirational Tear-Off Flyer * Download Instantly, Print & Hang! 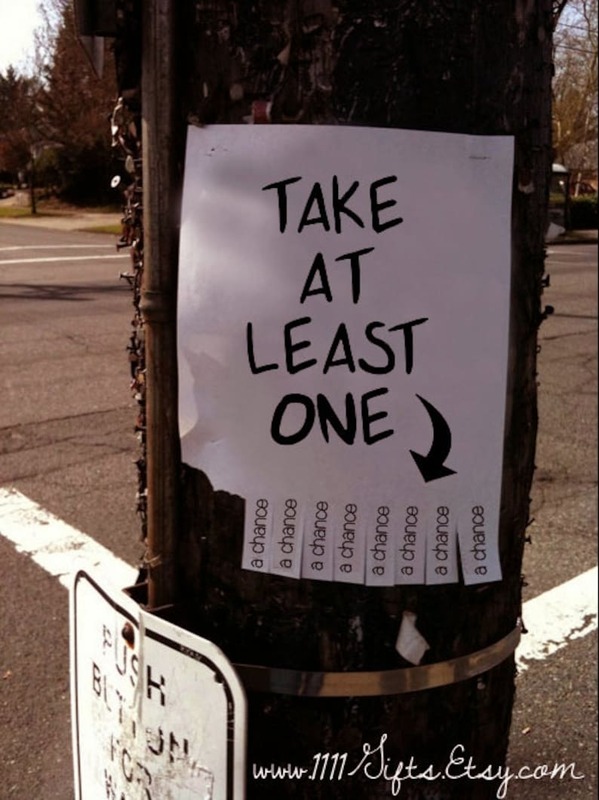 Inspirational Tear-Off Flyer: "Take At Least One (a Chance)"
Printable street wisdom... Download instantly, print, hang and inspire! Fun for the street, home or office. Printable 1960 Vintage Photograph * Bus view over Dalen Telemark, Norway * High Resolution Digital Print * Download Instantly, Print & Hang! 1930 Vintage Photograph: Man and Woman Kissing Across Two Vessels * Digital Print, Ephemera, Wall Decor * Download Instantly, Print & Hang! 1973 Square Dancing Festival * Vintage Photography of Couples Dancing * Printable Ephemera, Wall Decor * Download Instantly, Print and Hang!